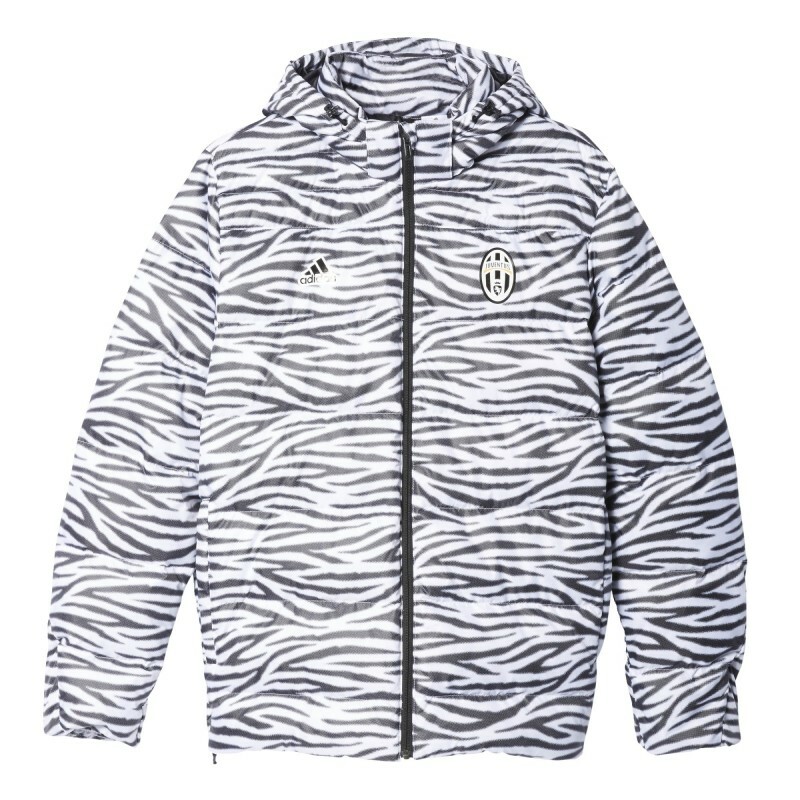 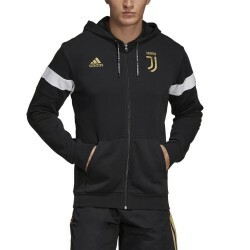 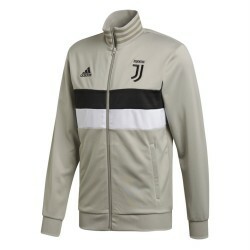 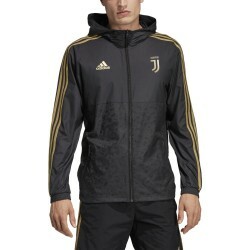 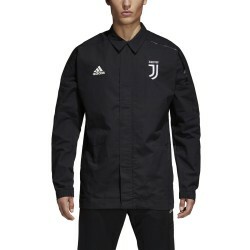 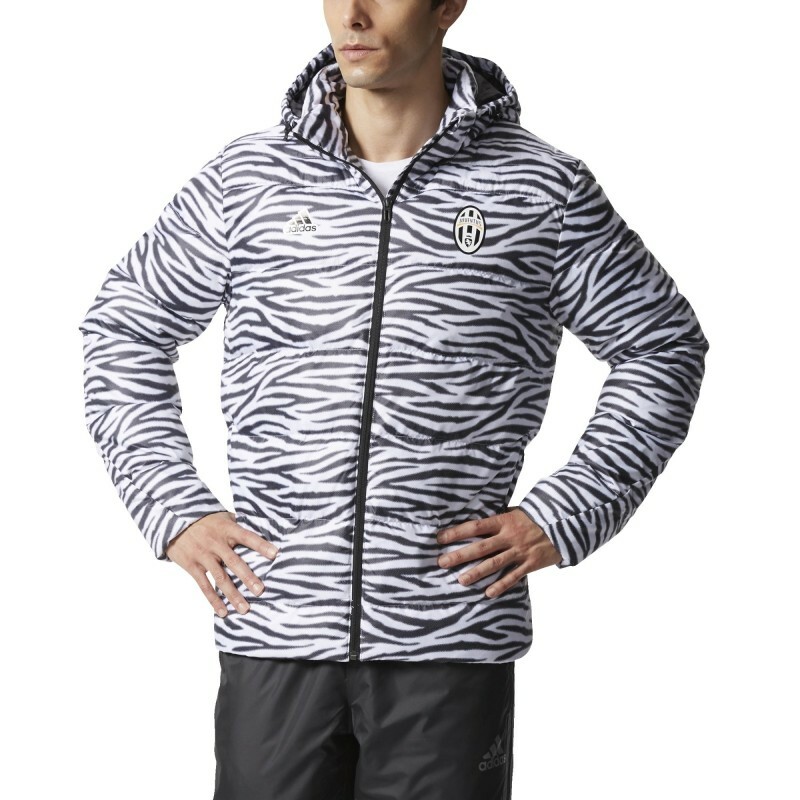 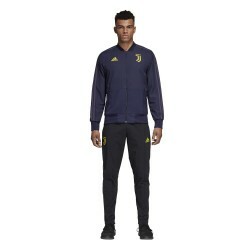 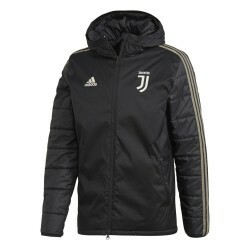 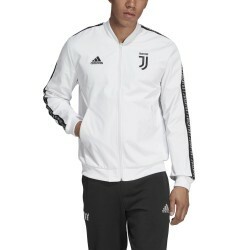 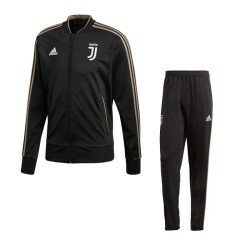 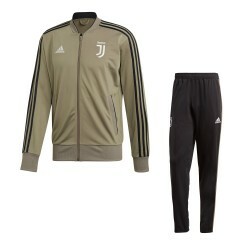 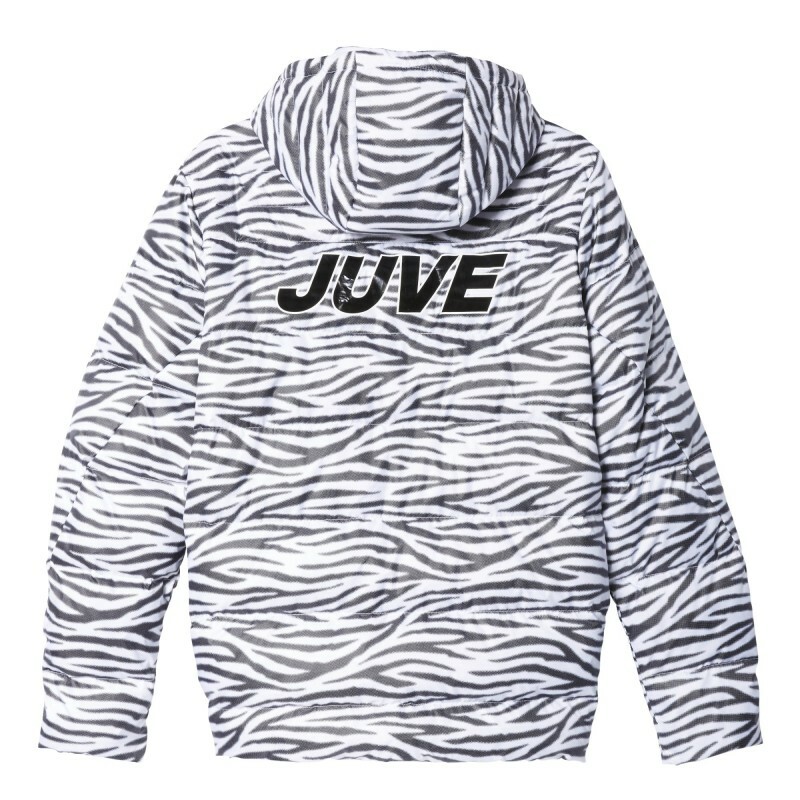 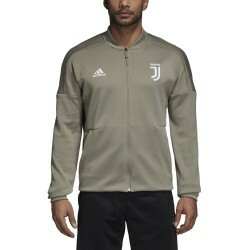 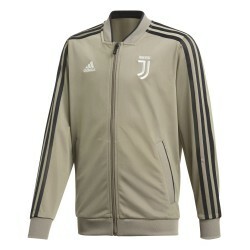 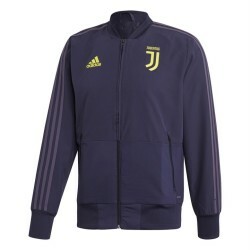 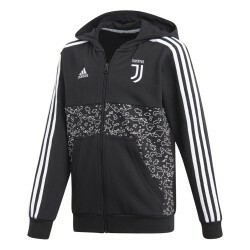 Juventus 2016/17 Adidas jacket Down jacket, fabric 100% polyester, jacket with adjustable hood with drawstring, full zip, front pockets with zipper, elastic cuffs and hem. 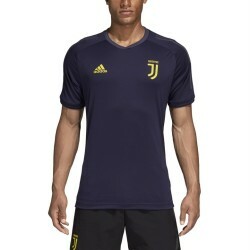 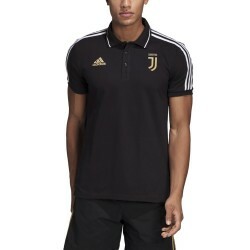 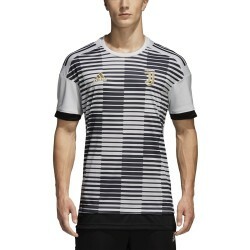 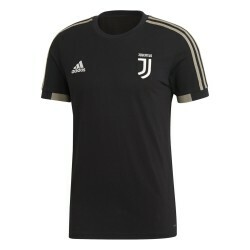 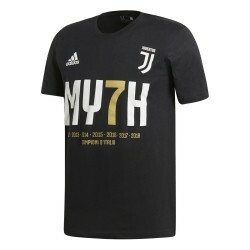 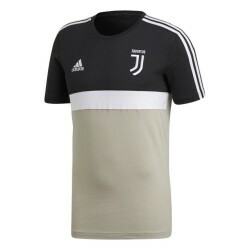 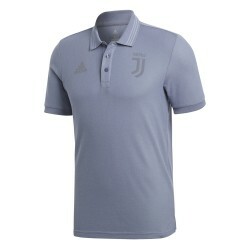 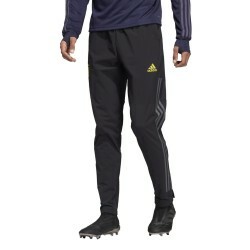 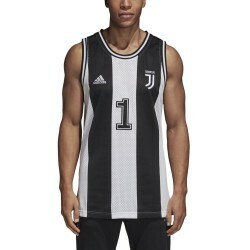 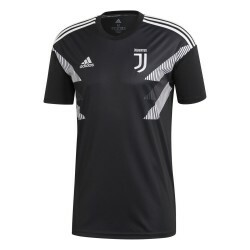 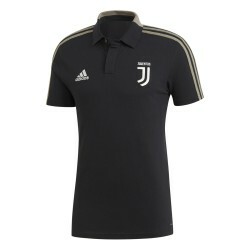 Juventus crest on the left chest; Adidas logo on right chest; written "Juve" on the back. 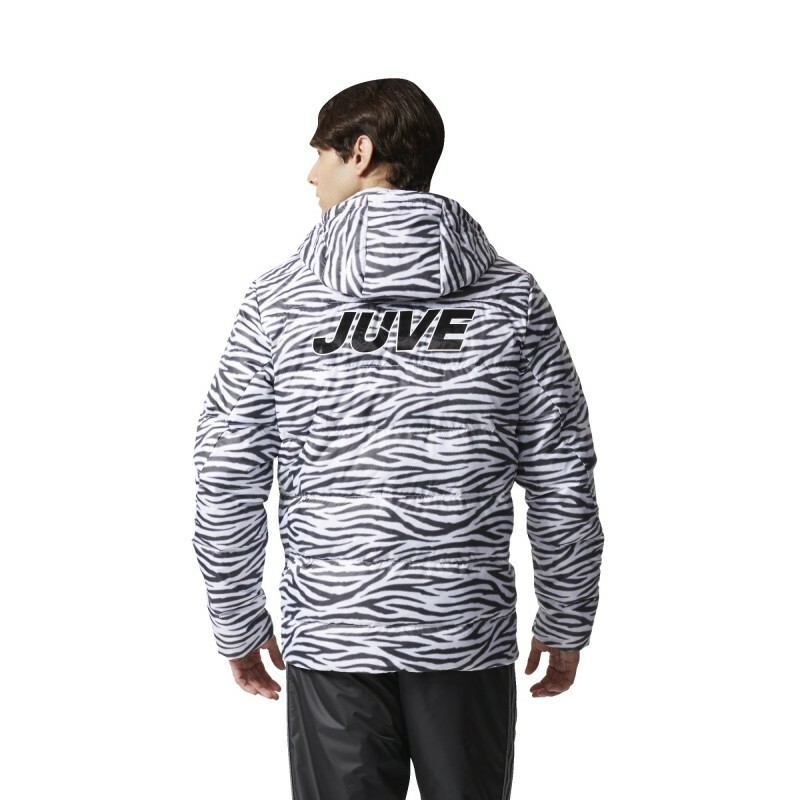 Exterior: fabric plane, 100% polyester; Padding: 60% duck down/40% feather.